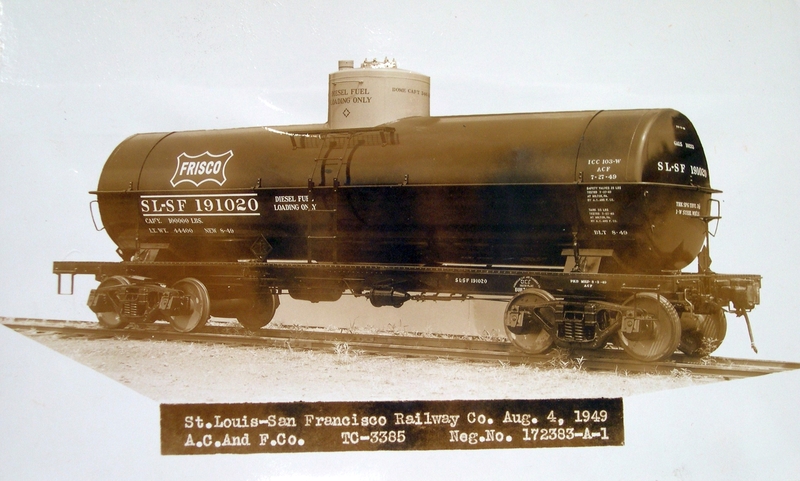 Tank car 191020 on August 4, 1949 (ACF Builders Photo). GP7 547 at Jonesboro, Arkansas on March 24, 1973 (Charles Judy). 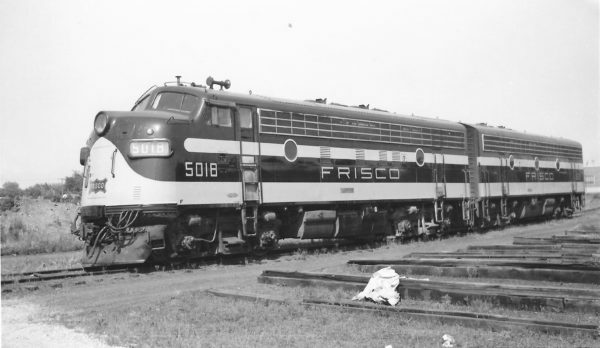 F7A 5018 and F7B 5121 at Springfield, Missouri on July 10, 1960 (Arthur B. Johnson). 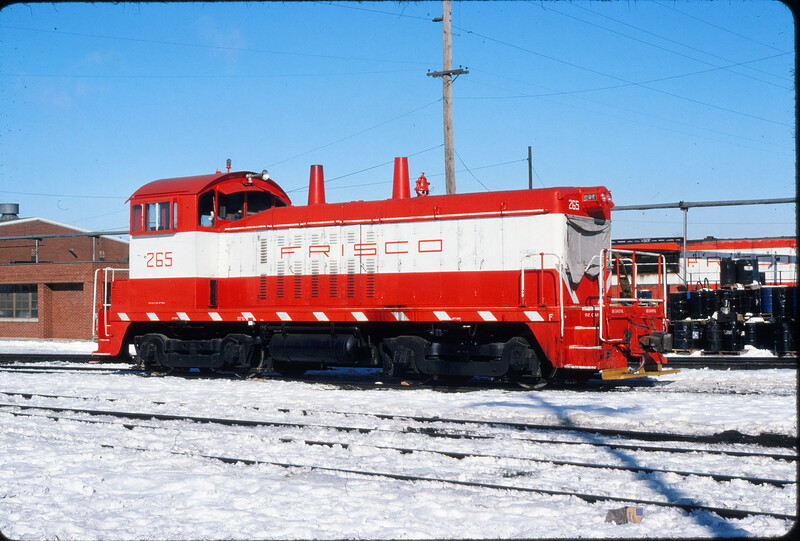 NW2 265 at Springfield, Missouri on February 5, 1979 (Gregory Sommers). 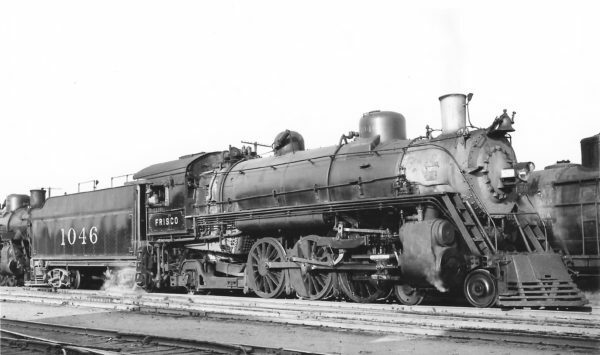 4-6-2 1046 at Tulsa, Oklahoma on September 24, 1948 (Arthur B. Johnson). F3A 5011 (date and location unknown). 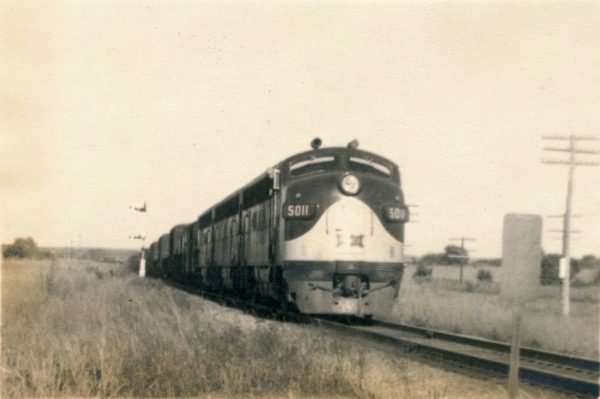 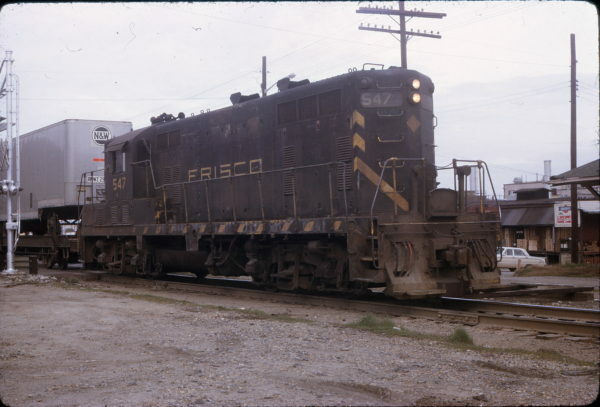 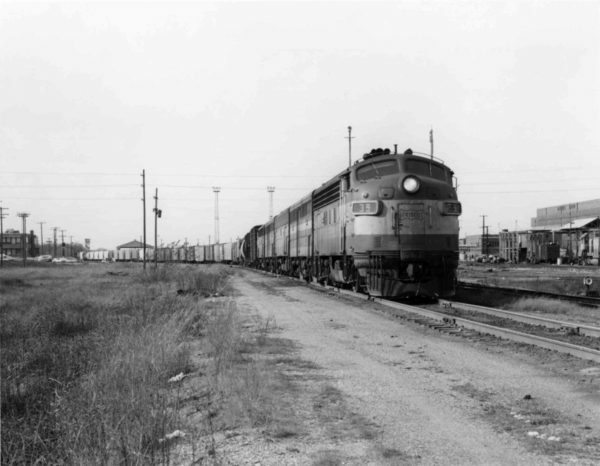 F7A 39 at Springfield, Missouri (date unknown). 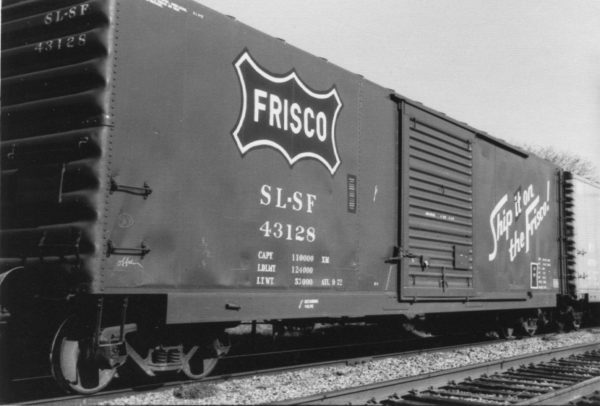 Boxcar 43128 (date and location unknown). 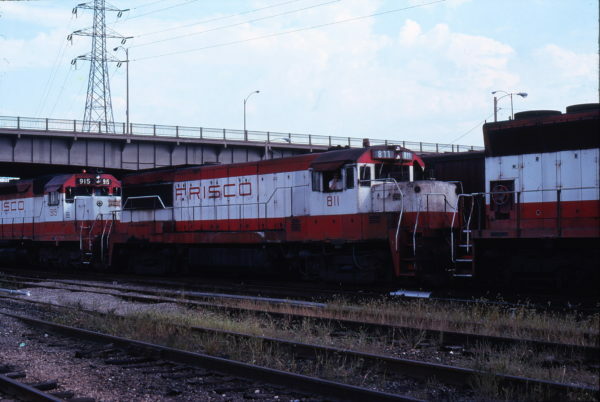 U25B 811 and SD45 915 at St. Louis, Missouri on September 16 1978. 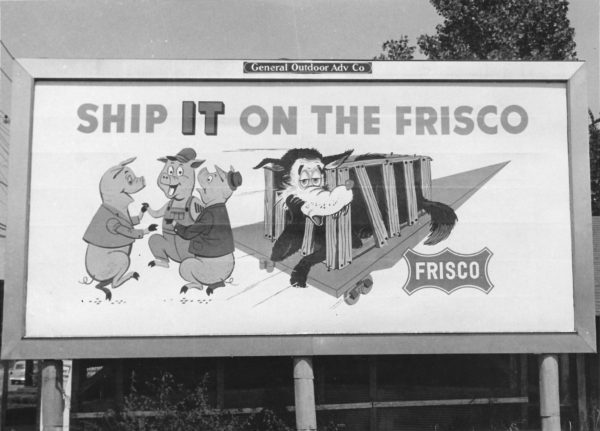 Frisco Billboard at Memphis, Tennessee on September 10, 1956 (General Outdoor Advertising Company).